Come aboard! 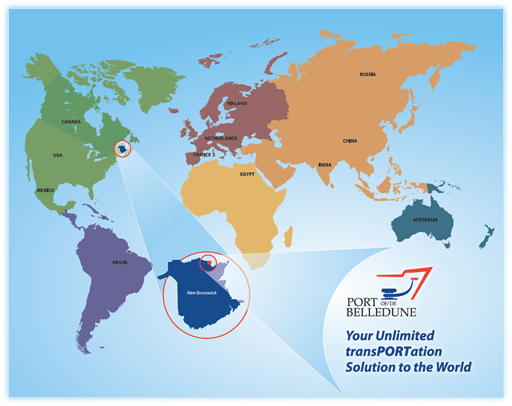 The Port of Belledune offers shorter shipping routes between points in Europe and North America, security, integrity of cargo, and savings for shipping companies. The Port of Belledune is a world class deep water facility with exceptional year round cargo handling capacity. 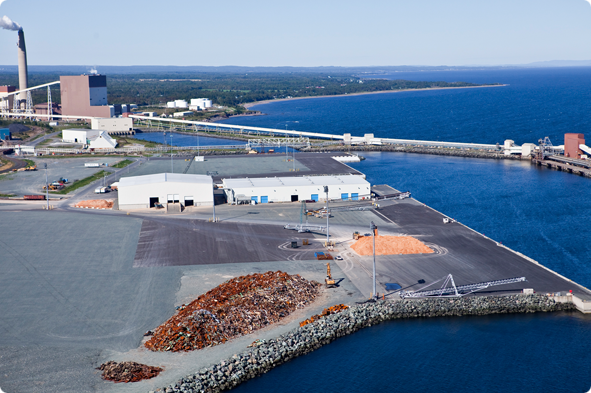 Situated on Chaleur Bay in northeastern New Brunswick, this Canada port is set snugly within the protected confines of a deep bay flowing into the Northumberland Strait. It offers some of the shortest routes between strategic ports in Europe and a key inter-modal exchange point in North America. Being a young port that includes a terminal developed less than 10 years ago, we offer state-of-the-art infrastructure and equipment. The main port infrastructure consists of three large terminals, wharf side outdoor storage adjacent to Terminal III, its general cargo terminal. It also offers climate controlled year-round warehousing situated metres from Terminal III and a 46 million litre (12.15 million US gallons) liquid bulk storage facility located on-site. All terminals connect to highway and rail networks that span the continent, providing exceptional access to markets of over 20 million consumers within a single day’s haul of the port. State-of-the-art equipment and infrastructure and certified ISO 9002 stevedores ensure the safe, efficient handling of all cargo including vehicles, shipping containers, consumables, ore concentrates, finished and unfinished forest products, and liquid cargo. Translating into clear economic advantages for our clients, our Canada port offers highly competitive rates across the board. 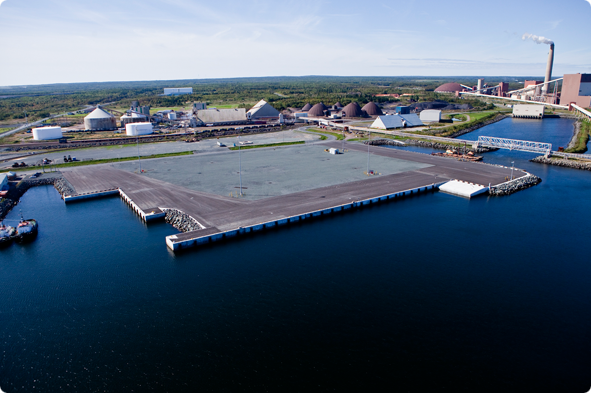 The Port of Belledune is operated by a local port authority allowing it to make quick decisions based on sound business management principles. Because we work with our clients in mind, we go the extra mile for you. We are your ideal shipping point! The most flexible choice for moving project cargo into the Eastern Arctic, Newfoundland and Labrador. Access to Rail and Trans-Canada Highway.